Shauna Lewis in Culture & Arts Drama on 4 February, 2018. The play opens amicably enough, laughter and joking, but the sense of foreboding only increases as the audience knows that inevitably the characters will soon be struck with trauma, Dora Bunner enters the room, ‘A Murder is Announced.’ Lightly funny and intriguing throughout, Castle Theatre Company’s production, directed by Julia Atherley, is largely a success from start to finish. Although the plot wasn’t necessarily swift-moving until the second half, the character arcs and storylines were still consistently entertaining. What could have been tedious was kept to a minimum and peppered with humour, and later on the details you barely noticed at the time fitted satisfyingly into the jigsaw puzzle of the murder-plot. It didn’t feel as if a moment was wasted to establish the characters for the audience, as we were introduced to the stereotypes and the ones whom we were to be fooled by from the beginning. Even if it was slow-moving momentarily, it was for a very short period. Dips into darkness maintained the dramatic effect the play was aiming for, prompting murmuring amongst the audience each time as more and more was revealed, it was a clever way of building the audience’s excitement and allowed dramatic revelations to receive their full accolade. Especially with the setting of Castle, it was easy to imagine a murder taking place, and Atherley’s directing allowed the stage to be used to its full effect. 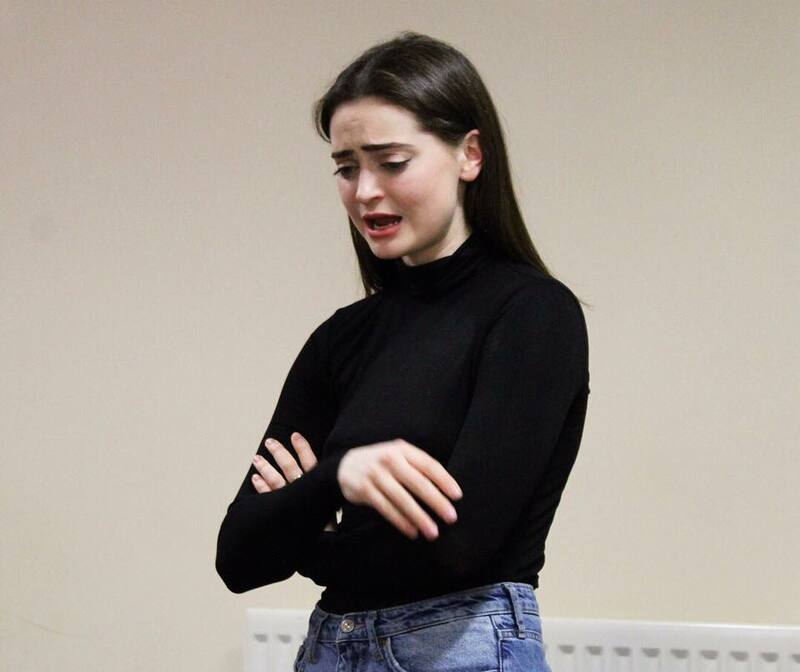 Sarah Cameron as Letitia was a particular highlight, at first appearing brusquely likeable and simultaneously caring, her characters develops over the play to places the audience doesn’t expect, and Cameron adapts to this admirably. Whilst Emily Skelton was a unique version of Miss Marple, she definitely came more into the character in the second act. Whilst this was perhaps due to her longer appearances, allowing Skelton to get into the character more, the favour for the Miss Marple character was felt more keenly here, and Skelton really did suit the role. The rest of the cast was strong, with Molly Goetzee and Alice Lassman providing good comedic roles. In the beginning it did feel as if some of the jokes didn’t land as easily as they were intended, but the laughter grew as the show went along. One element which was particularly commendable was the natural nature and realism of the relationships between characters, and the general hubbub that was created in their interactions as a group. It wasn’t like other plays where conversations can feel forced, the audience was allowed to look at a snapshot of the character’s real lives and friendships, whilst they were dealing with a horrible situation. It was also interesting to look back at some of the features of the acting that made much more sense in light of numerous revelations, such as the relationship between Julia (Menna Braithwaite) and Patrick (Ewan South), and how the actors played the different dynamics, which in general was another strong suit of the play. Although the play was set quite traditionally, there was still the contemporary feel of it for the audience. Perhaps it was the younger age of the actors, but they managed to inhabit the roles of older characters yet still made them feel modern. Altogether absorbing in its plot, ‘A Murder is Announced’ is great viewing for any mystery-lover. 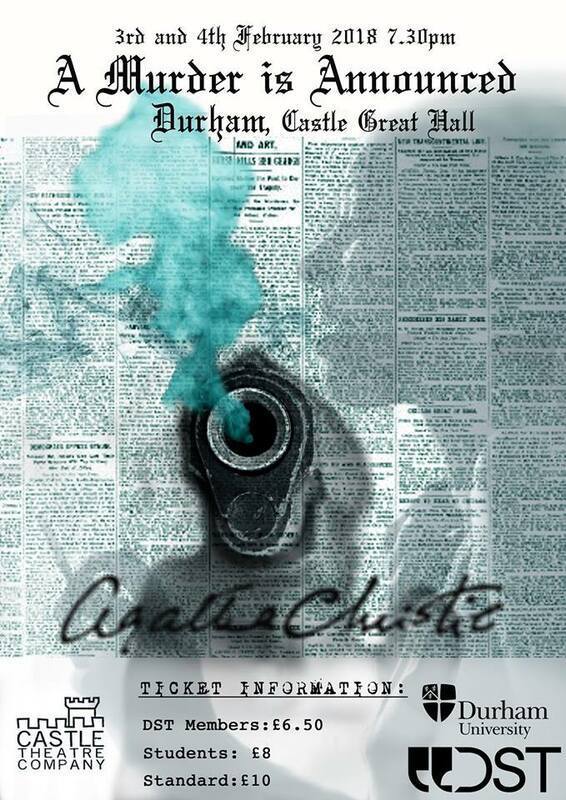 ‘A Murder is Announced’ is showing 8pm, 4th February at Castle’s Great Hall.